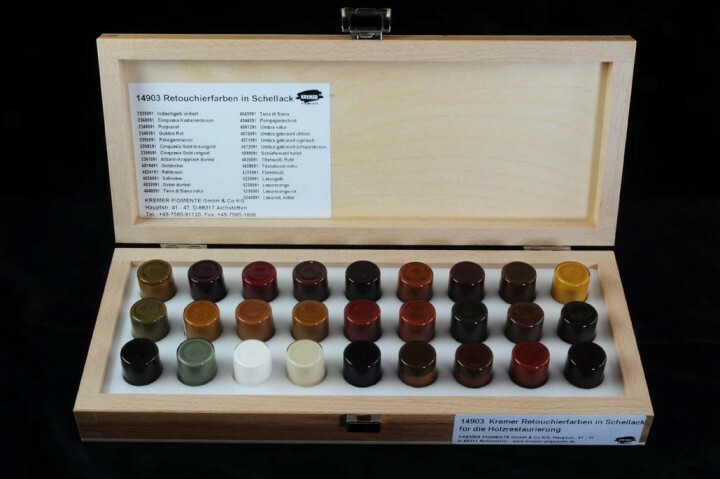 Set: Kremer Retouching Colors in Shellac | Assortment for wood restauration | KREMER Retouching Colors in Shellac | Ready-made Colors | Kremer Pigments Inc.
Pigments ground into a bleached shellac solution (60450). 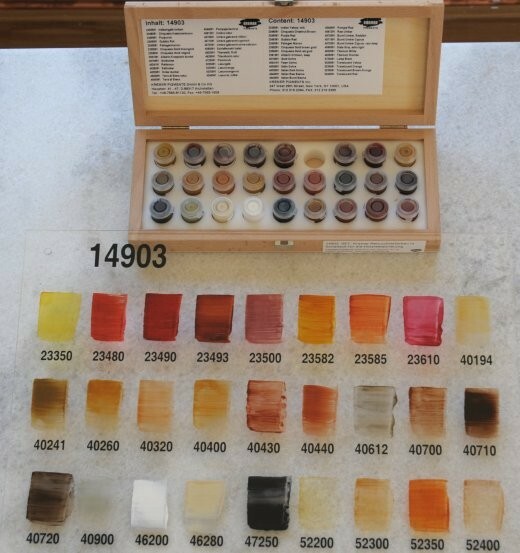 For wood restoration. Customer evaluation for "Set: Kremer Retouching Colors in Shellac"